Why is chocolate melting at the tongue this sort of decadent sensation? Why will we love crunching on Sir Francis Bacon? Why is fizz-less soda this type of unhappiness to drink, and why is flat beer so unappealing to the palate? Our sense of flavor produces physical and emotional reactions that can not be explained by using chemical components alone. consuming triggers our imagination, draws on our powers of don't forget, and turns on our crucial judgment, developing a completely unique affect in our mouths and our minds. How exactly does this alchemy work, and what are the larger cultural and environmental implications? Taking part in the laboratory and the kitchen, Ole G. Mouritsen and Klavs StyrbÃ¦ok look into the multiple methods in which meals texture affects taste. Combining scientific analysis with creative instinct and a complicated expertise of meals guidance, they write a one-of-a-kind e book for food lovers and meals science pupils. by way of mapping the mechanics of mouthfeel, Mouritsen and StyrbÃ¦ok increase a extra consciousness of its hyperlink to our culinary alternatives. Gaining perception into the textural properties of raw veggies, puffed rice, bouillon, or ice cream can help us make more healthy and more sustainable food alternatives. 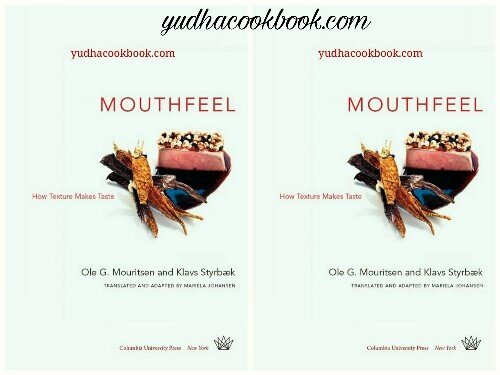 via mouthfeel, we can recreate the physical emotions of foods we love with other elements or learn to latch onto smarter meals alternatives. gaining knowledge of texture also results in greater adventurous gastronomic experiments inside the kitchen, permitting us to reach even greater heights of taste sensation. Ole G. Mouritsen is a distinguished scientist and professor of biophysics at the University of Southern Denmark. He serves as director of the Danish Center for Taste (Taste for Life) and the Center for Biomembrane Physics (MEMPHYS) and is president of the Danish Gastronomical Academy. His books include Umami: Unlocking the Secrets of the Fifth Taste (Columbia, 2015),Seaweeds: Edible, Available, and Sustainable(2013), and Sushi: Food for the Eye, the Body, and the Soul (2009). Klavs StyrbÃ¦k is an award-winning chef who, with his wife, runs the gastronomical innovation project STYRBÃKS, incorporating an experimental restaurant and a chefs' school. With Ole G. Mouritsen, he is the author ofUmami: Unlocking the Secrets of the Fifth Taste(Columbia, 2015).